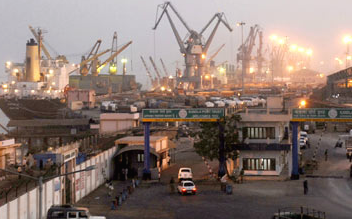 Mumbai: In a developing corruption scandal, a whistleblower has been suspended from working at India’s Kandla port. Sanjay Bhaty, Kandla Port’s trade promotion and public relations officer, had filed a private complaint to the Gandhidham court, accusing senior port officials of accepting Rs 1000-crore in fraudulent dredging contract payments, according to Indian press reports. KPT says Bhaty broke its employment terms by not seeking permission from his authorities before filing the complaint against chief vigilance officer (CVO) P Ramjee. The port called the allegations “unsubstantiated”. Bhaty alleges that he and his family have received threats to their lives from Ramjee. India’s anti-corruption bureau (ACB) has been instructed by the Gandhidham court to investigate Ramjee. The ACB has argued the case should be investigated by the country’s Central Bureau of Investigation (CBI) because Kandla is run by India’s central government. The next hearing is scheduled for June 24.